The whole “British journalists” thing really just makes Glenn looks bad. Sorry if this is more of the same, but whenever he writes that it just evokes in me an image of a caracture of the most clueless tourist. I really admire the content of much of his journalism, but the tone and language it is delivered with is often polemical to the point of ridicuolous. Galling isn’t it? You’d think Glenn would know better after his time working for the Guardian. Perhaps, in answer to the above question, he’s thinking of BBC’s Stephen Sackur when he generalises bad things about Brit hacks. He certainly seemed angry and smarting after his encounter with Sackur. I can’t imagine why he lumps us all into the same boat – we (“liberal” journalists that I know) could hardly be more different, and I honestly laughed out loud when I read about us “closing ranks”. We’d be more likely to kill each other! The twitter thread with Marina Hyde which triggered Glenn’s tweet is very interesting. She’s accused of being part of “The Club”, which is a conspiracy metaphor if ever I heard one. So she responds by posting a funny Mike Myers clip about conspiracy nuts. That is what causes Glenn to say British journalists close ranks (although he says he is making a more general point)! I mean, SERIOUSLY, Glenn. Thanks, Dom, Amanda and Brit Journo. Yes, I think the thing with Marina Hyde was pretty silly, and a strange place for Greenwald to intervene with generalisations about “British journalists”. I’m no fan of Hyde but she wasn’t “closing ranks” or expressing “group-think” – she was responding humorously to a slur. Even if you narrow things down to Hyde’s employer, The Guardian (as opposed to asserting things about “British journalists”), I can’t really see any sense in Greenwald’s charges, except perhaps as applied to cliques within the Guardian. Even then I see no more of “closing ranks” or “group-think” than any other comparable clique. Whenever I hear these types of claims about the Guardian, I challenge the person making them to list any media outfits (including independent ones) whose content is more pluralist (ie less “group-think”) than the Guardian’s. So far, nobody has been able to give me an answer. In the unlikely event that Glenn reads this (I’m sure such an important person has bigger fish to fry) perhaps he can suggest an answer. If his claims are right, he should have endless media organisations to choose from which beat the Guardian on pluralism. His own outfit, The Intercept, seems nowhere near as pluralist as the Guardian (in terms of the range of views it appears to promote or tolerate). So much for “group-think”, etc. Well, I’m a fan of Glenn, and I think we need as many high-profile journalists like him as we can get. I’m glad he’s there, and I’m glad he has more followers on Twitter than most UK journos put together. That said, yes, I think you’re right about this generalisation. It has the same structure as racial or gender generalisations, but it doesn’t look as bad on first glance. It is noxious, though, when you think about it. All national generalisations are, and it’s surprising that people get away with them given that there’s much more sensitivity and awareness and condemnation these days (I’m glad to say) regarding ethnic and racial stereotyping. On the “group-think” thing, I think it’s evident in all of us, including Glenn. We all tend to repeat and regurgitate and identify rather than create – with the exception of geniuses and truly original thinkers. And good though Glenn is, he doesn’t fall into the ‘original thinker’ category. Reading the twitter thread, I feel that Glenn Greenwald is letting his moral indignation get the better of him. There are a lot of things we should be outraged about: the inequalities, wars, and other forms of suffering which self-serving politicians push. But the flippant jokes and frivolous, arrogant style of some “Brit” journalists isn’t something we should get worked up about, especially when they are basically progressive in outlook (agree with us on core matters). The generalisation about Brit journalists is silly, obviously. It seems plausible Greenwald wasn’t generalising about ‘British’ journalists, rather the journalists of ‘British journalism’ – a different thing altogether (despite the fact he may have made generalisations about ‘the British’ previously). It’s probably fair to assume he’s talking about something even more narrow than that – shorthand for prominent London journalists, maybe even just those that cross into clear opinion/advocacy. That this generalisation appeared on Twitter, where a network of interconnected ‘British journalists’, engaging both professionally and personally, can be clearly seen (even accurately mapped if you could be bothered), says more about who he’s referring to. At any rate, journalists, British or otherwise, are not comparable to ethnic groups. They’re principally defined by what they do for a living (even more so by who they work for), not by their country of origin, heritage, skin colour. Unlike other large groups of people, this group is a) not so large and b) not so disconnected. There’s a further factor to this, in that this ‘group’ is not linked by a shared cultural narrative or geographic origin (primarily at least), rather by a shared profession, with, not so broadly speaking, a shared and continually negotiated (largely at an institutional level) ethical, regulatory and economic framework (even where journalists are tweeting in their own capacity, they are typically representing their employer – and would likely be censured if they stepped wildly out of line). Which, for the most part, defines them professionally, rather than as people, i.e. they perform ‘British journalist’, rather than live it (AA Gill, relevant on this, https://twitter.com/media_bite/status/627759433284755456). That’s not to say Greenwald’s generalisation is any more correct. Generalisations are usually pretty subjective, so it’s based on his lived experience (which is going to be incomplete). But in this case, this is something we could actually measure (as far as it’s possible to accurately statisically measure sentiment), if we wanted to, in the same way we might want to generalise about characteristics of any profession – within which the exception is implicit. On the other hand, ‘generalisations’ about ethnic groups tend to deny exceptions, in so far as they are not really generalisations as they are definitions. Thanks for that. On your first point – yes, I think we can assume Greenwald has a narrow group in mind. This is the core of my point – the danger of generalising from a relatively small group (that you may have valid experience of) to a much larger one. Even before you bring in the potentially dangerous social *effects* (eg of extreme cases of national prejudice), one can say it’s *logical* nonsense to generalise from a small group to a larger one in such a way. A good example would be national categories of “workers”. Thus, you may often hear generalisations about, say, “Polish” workers (or “Mexican” workers, etc, depending on geographical location). The person making such generalisations may actually have personal experience/knowledge of a small group of workers of the nationality in question – and thus may think his/her evaluations are valid. It’s the wide generalisation which is nefarious. But because it’s based on nationality rather than race/ethnicity, they may think it’s okay (ie “socially acceptable”). 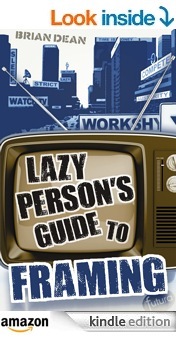 Of course, group categories (whether “workers”, “journalists” or “Brits”) are abstractions – they don’t exhibit behaviours such as “laziness”, “dishonesty”, “rank-closing” or “group-think”. Only individual human beings exhibit such behaviours. So, the logic of these generalisations is that *individual* behaviours are generalised to group identity. That may be valid in some qualified cases, typically on a relatively small scale – eg individuals who exhibit behaviours rewarded by certain institutions. And I’m sure that’s true of some groups of journalists (eg some sections of the BBC – as I alluded to in my post). But this doesn’t change my point about the “British” generalisation in Greenwald’s case, which I don’t think can be justified in any way at all. Of course, there’s another point which usually comes up in these debates – the question of historically distinguishing victims and oppressors in terms of group categories. That’s important, but it’s separate from the point about logic & framing of generalisations that I’m attempting to make above, which should apply regardless of whether one is talking about victims or oppressors. I addressed this point in an earlier post, ‘Hating the “right” group’. I think your point about “measuring” is a good one. You could do it for institutions/employers, etc. (I’m still waiting for an empirical study along such lines from the people who are always going on about the Guardian). That would be on a relatively small scale. Anybody trying to do it for the category, “British”, would have their work cut out (to put it mildly).